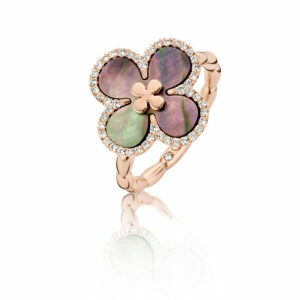 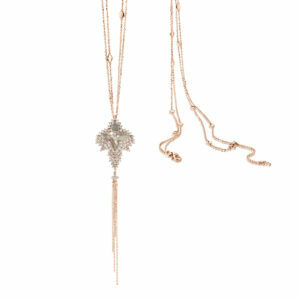 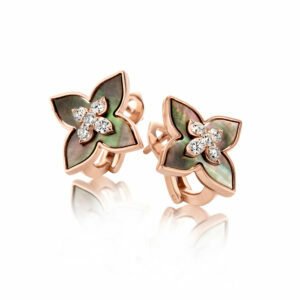 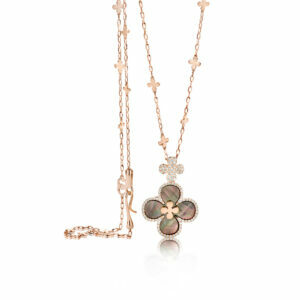 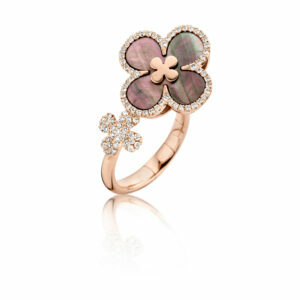 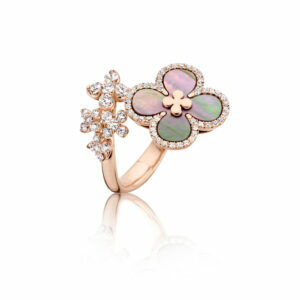 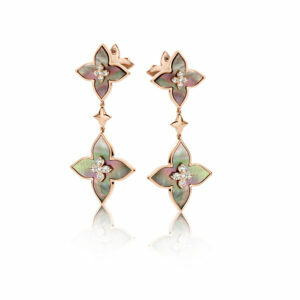 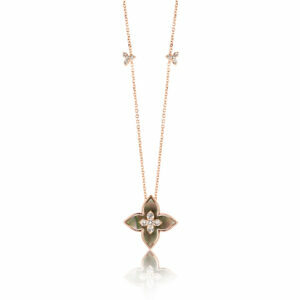 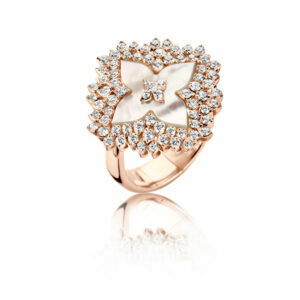 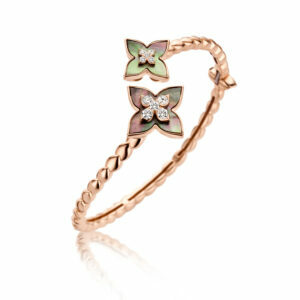 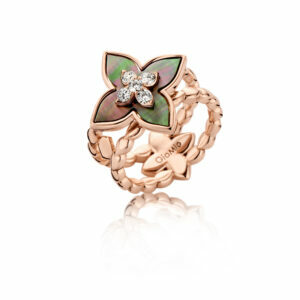 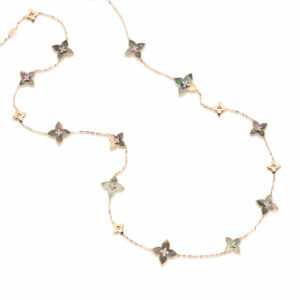 This collection is combining white or pink gold with diamonds and mother of pearl. 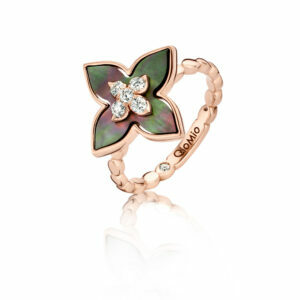 With each jewel carrying a unique colour of the slow growing Tahitian black mother of pearl, the rings, necklaces, bracelets and earrings are all one of a kind-just like you. 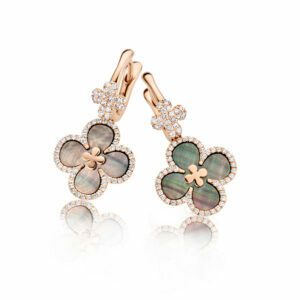 Every piece is available in both white mother of pearl or black mother of pearl.